BUILT FROM START TO FINISH. We start with a flat sheet. 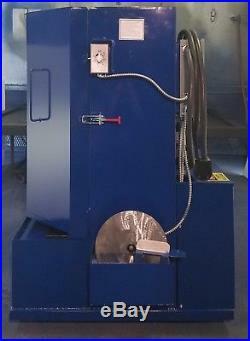 Build your washer from the ground up here in the US. We also manufacture our cabinets using US steel. While more expensive, US steel is held to industry standards when it is produced. Because of this, we have cabinets from back when we first started manufacturing them, over 20 years ago, still out in the field operating today. We have been designing and building parts washing cabinets since 1992. Our most popular cabinet is the WA-S model. Because of it's popularity, it has unfortunately been copied by our competitors and, to make more profit, imported from China (Red Cabinets). Be cautious when purchasing, some sellers are just trying to make a quick sell on these cabinets and will not be around if you need. We are here before and after the sale. 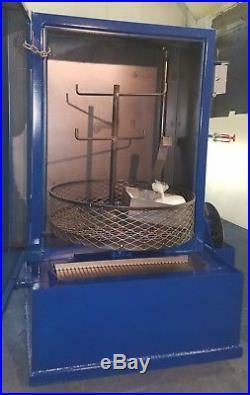 We custom build parts washers for our customers with larger capacities, larger pumps, higher and wider clearances, and custom turntables with holding racks and baskets. 240v single phase (33 amps). Simply load your parts into the turntable basket. Turn the wash timer to desired time. Parts are sprayed with 175º F solution while the turntable rotates, ensuring a thorough cleaning. Parts are clean and ready to be unloaded. Integrated Filter - Catches matter larger than 1/4 to prevent water pump damage. 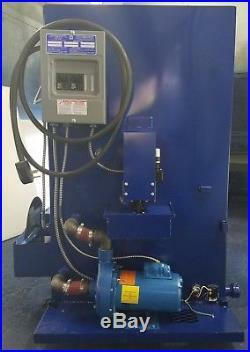 Oil Skimmer - Removes oil from the solution to greatly extend solution life. Door Design - Loading and unloading with a crane or forklift is easy because half of the turntable is exposed. Heavy Duty Casters - Makes movement of the cabinet easier for draining. Each parts washer will include a. Part Hanging Tree -Startup charge of cleaner. We use only quality DAYTON Pumps and DAYTON Motors on our. 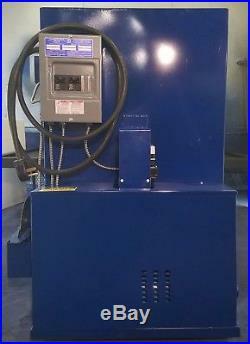 You may add any of the following upgrades to customize your parts washer to meet your needs. With this upgrade, your parts washer will be constructed using. This upgrade eliminates the wait time for the water to heat up. 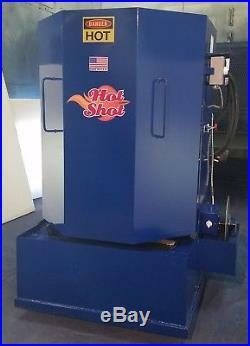 This allows you to set the Parts Washer to automatically heat up and shut off. At a certain time so that when you come in to work it's ready to go and when you. Leave for the day it shuts itself off. We will gladly add nozzles, free of charge, if you want them. NOTE: We offer spray nozzles only because our. Applications using vertical high pressure pumps are the only time. It makes sense use nozzles. One charge of cleaner will last about one month depending on usage. Your number and we will gladly give you a call to answer your questions. The item "Parts Washing Cabinet Spray Washer Model WA-JR USA construction! Stainless Pump" is in sale since Wednesday, February 7, 2018. 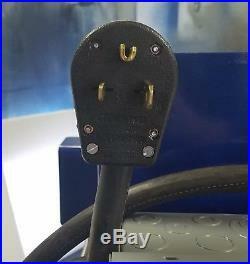 This item is in the category "eBay Motors\Automotive Tools & Supplies\Shop Equipment & Supplies\Other Shop Equipment". 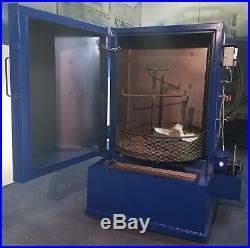 The seller is "adventure_mfg" and is located in Oklahoma City, Oklahoma. This item can be shipped to United States.